Weeflab takes part at Meesterlijk. Weeflab presents at the international ETN conference. Weeflab staat met een mobiel weefgetouw op Koningsdag op het Zonneplein. De buurtbewoners worden uitgenodigd om een stuk mee te weven. Dit symboliseert ons gemeenschappelijk netwerk. Het resultaat wordt gepresenteerd bij Studio Spaanders op 5 mei. Op de Bevrijdingsdag 2017 is het thema verbinden. 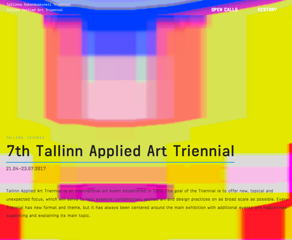 Weeflab is building the network at 7th Talinn Applied Art Triennial 2017. 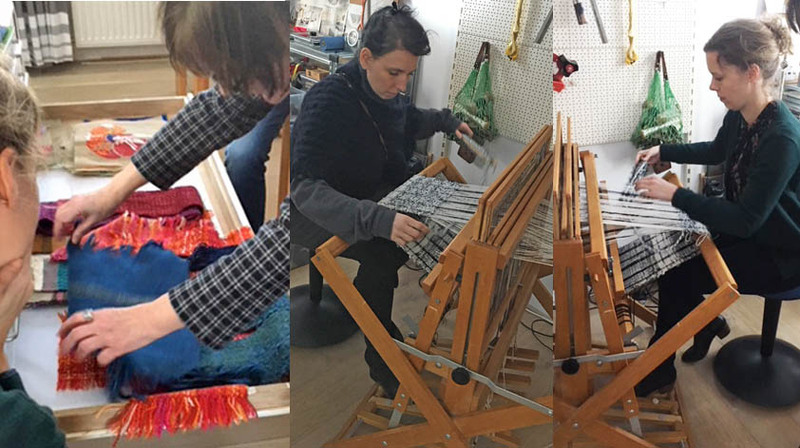 Designer Emilie Pallard visited Weeflab and showed the results of her trips to Japan and the IKAT weaving. She will adopt one of the Weeflab 8-shaft looms for her work. 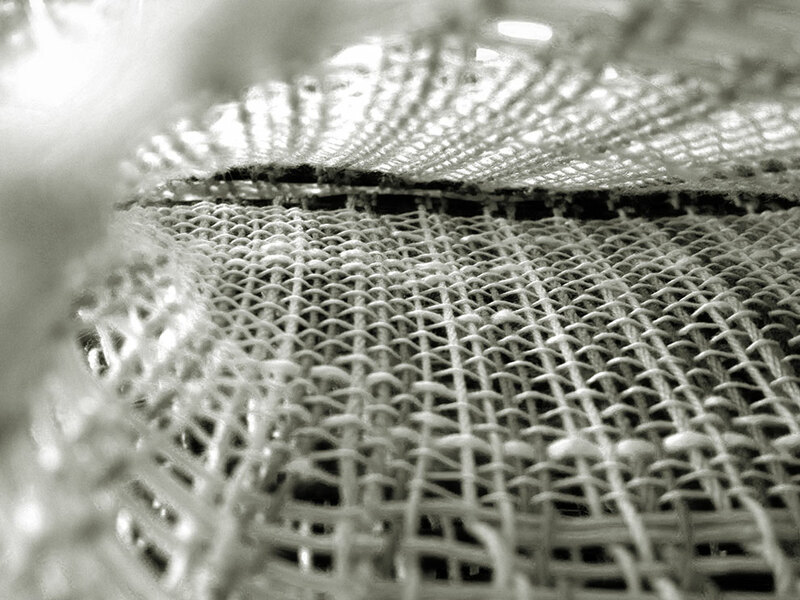 Weaving is a construction technique bound to materiality. 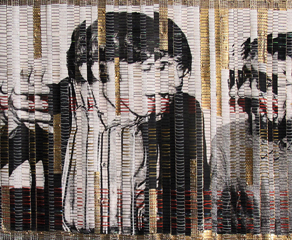 Weaving is a metaphor for time to be filled with contemporary ideas about i.e. the experience of time passing. 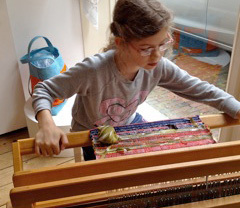 Weaving is a production technique for fashion and interior fabrics. 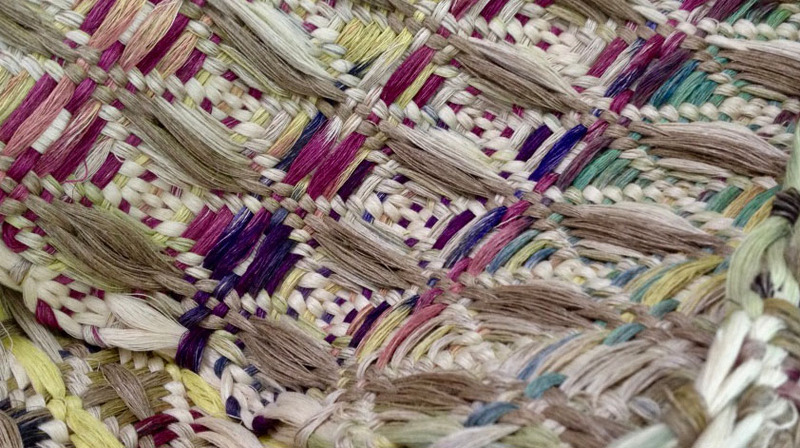 Weaving is about life making connections and constructing beauty. 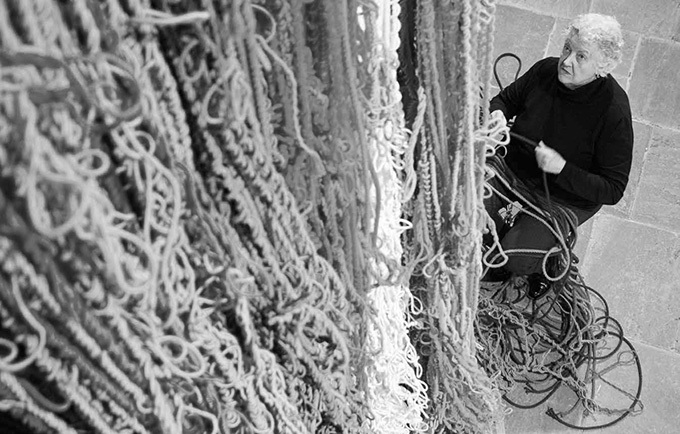 Weaving can be a community project with dance, theater or an installation in public space. 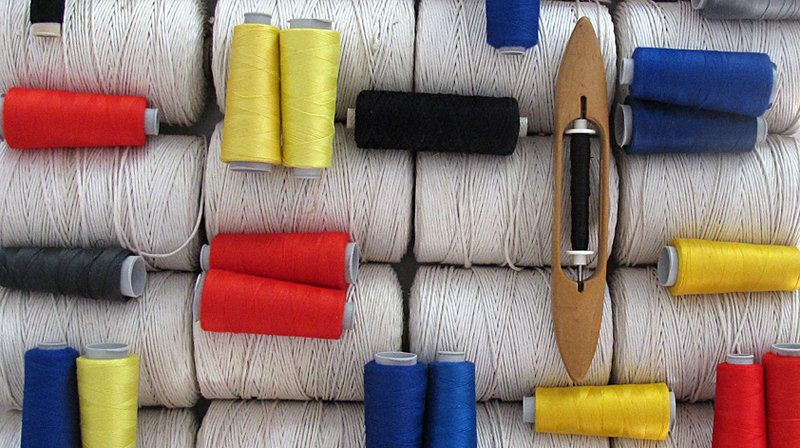 Weaving as a proces is synonymous with the infinite line, the thread. - Psalm 139:13:.. you made my mind and heart, you wove me together in my mother’s womb. - in anthropology:..weaving (like dwelling) continues for as long as time goes on - punctuated but not terminated by the appearance of the pieces that it successively brings into being.T. 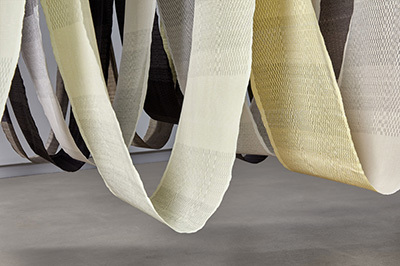 Ingold Weaving connects traditional and digital techniques with smart materials and innovative discoveries. . 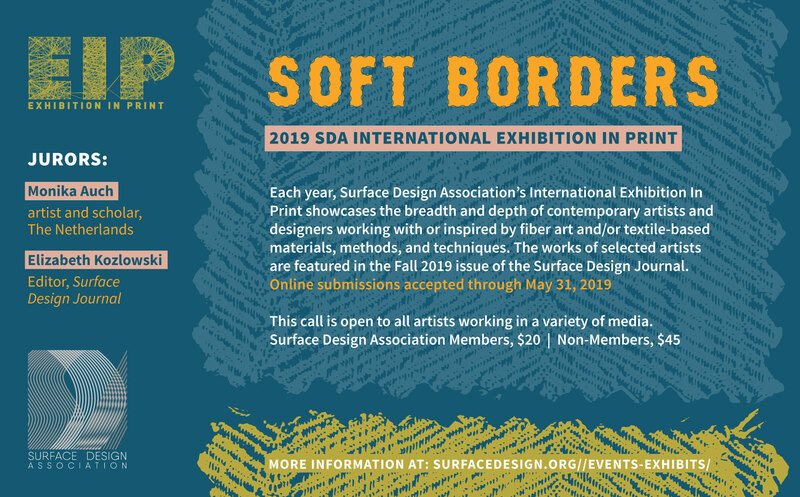 Guest editor and co-juror for Surface Design Association's International Exhibition in print. Re-enacting historic weaving with QS2 group for show @Rijskmuseum voor Oudheden in 2020. 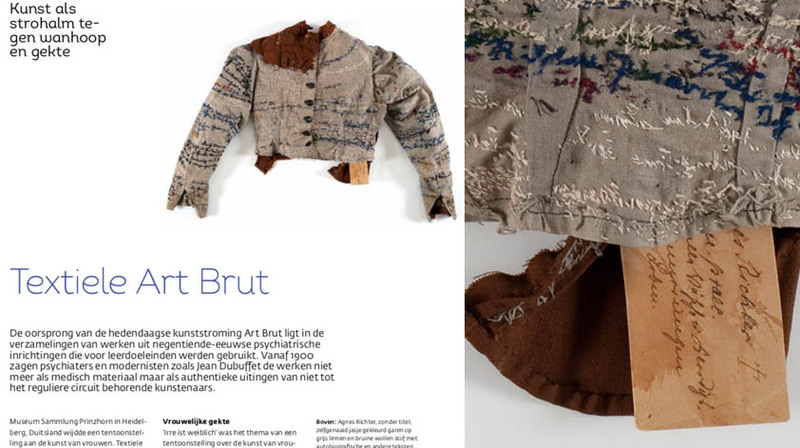 In two articles in Dutch TxP magazine I talk about female artists, their textile work in Art Brut and it's origins in 19th century psychiatry. After discovering a young Outsider artist at the Outsider art Gallery in Amsterdam I visited the workshop and portrayed her in an interview. 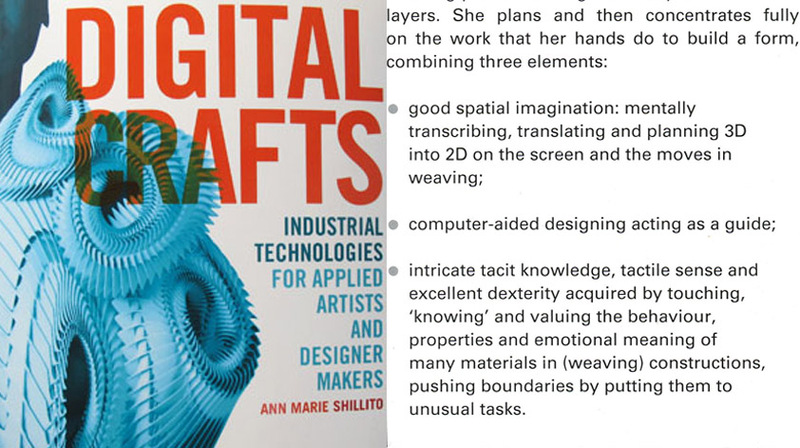 Interview by Ann Marie Shillito, CEO of Anarkik 3d Ltd. (virtual touch technology for applied artists and designers) about constructing through weaving on a computerized loom. 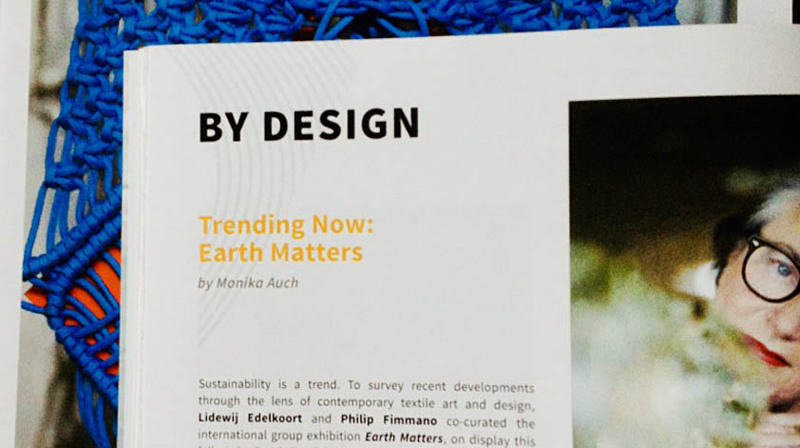 For the Summer edition of American Surface Design Journal I wrote two articles about contemporary textile practice in The Netherlands. 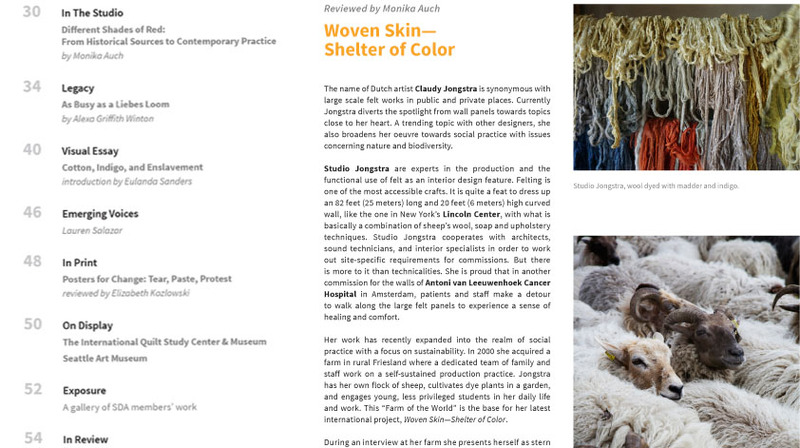 In the Studio - about madder now and in a historical and restoration context and a review of Claudy Jongstra's project 'Woven Skin-Shelter of color'. 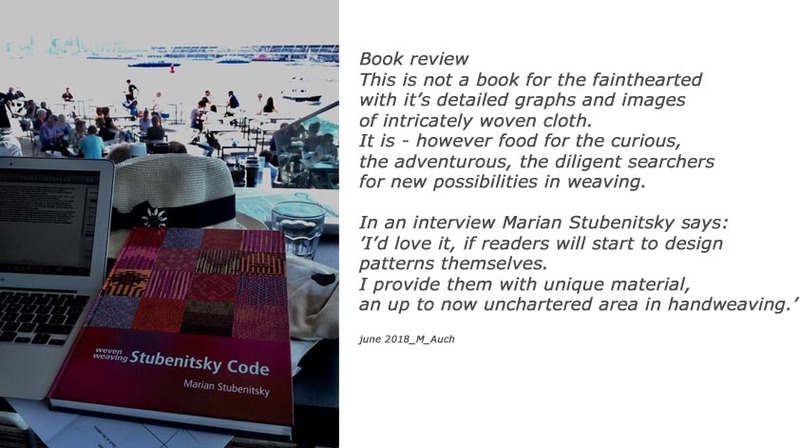 Dutch weaver Marian Stubenitsky published her second book in an Dutch/English edition. 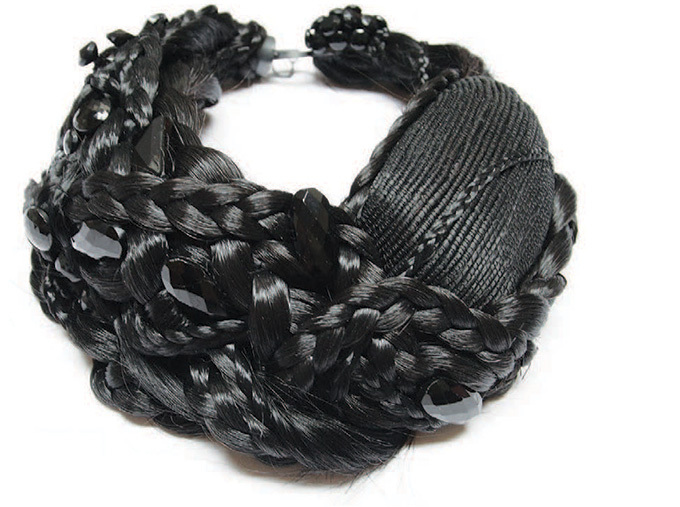 It is a technical how-to guide for weaving with one tie end and mainly two, but as well three or five pattern ends. Myriad possibilities at varying technical levels are the result. 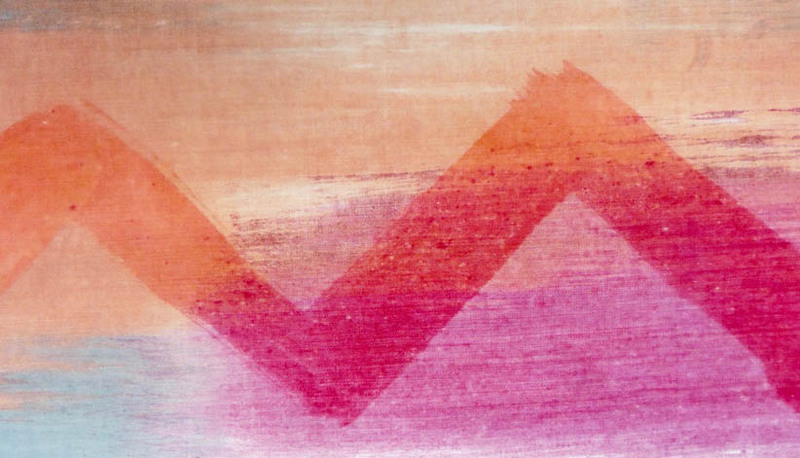 Focussing on dyeing with natural pigments, here is a summary of recent articles about: The history of madder in The Netherlands. 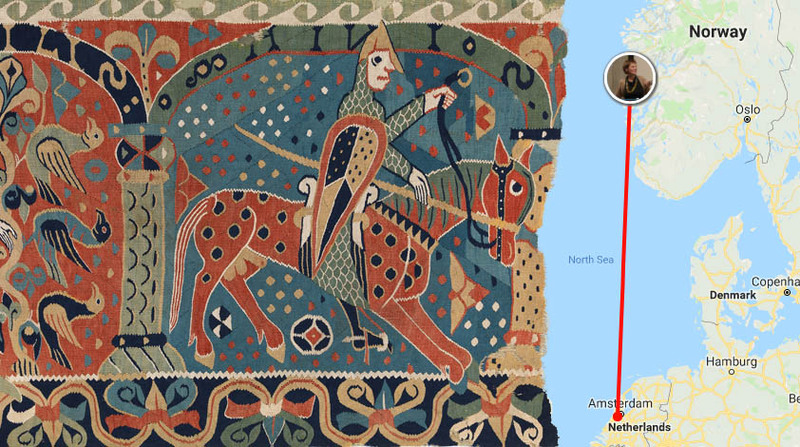 The discovery and conservation of a fabulous 17th century red silk wardrobe off the coast of Texel. 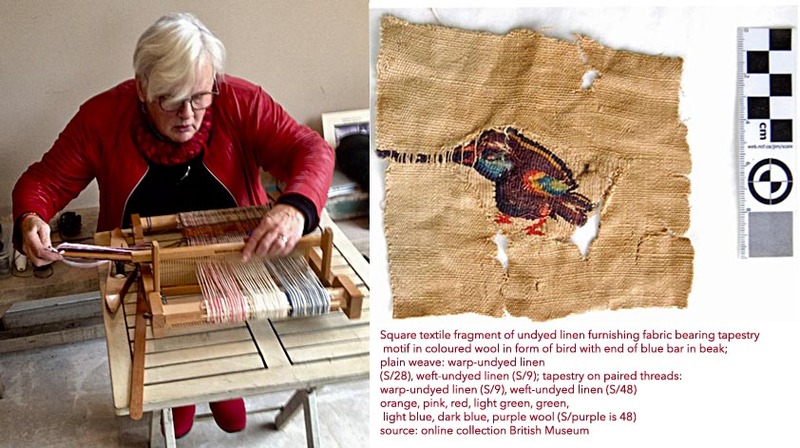 Visits to workshops at the Rijksatelier, at Tinctoria studio and at Claudy Jongstra's 'Farm of the World'. Professor Dr. Sven Dupré and colleagues from the ARTECHNE project are conducting research on how artist's master their art. 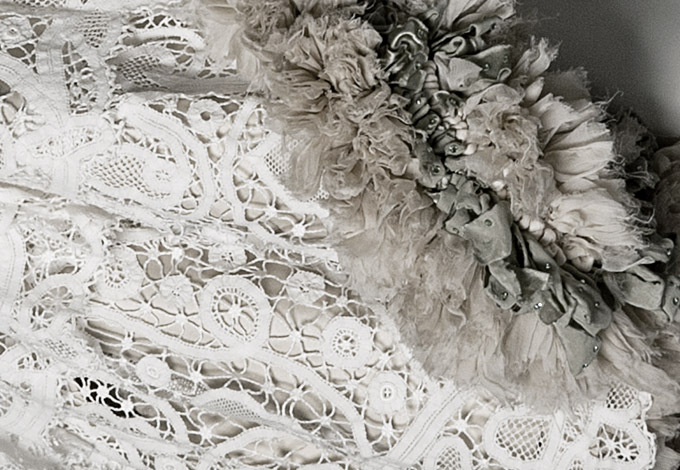 What is technique in the visual and decorative arts? How is technique transmitted and studied? Who is considered an expert in technique, and why? In a unique hands-on approach the scientists try to understand the intricacies of mastering a technique. Two presentations reaching a wide public in Germany and The Netherlands. 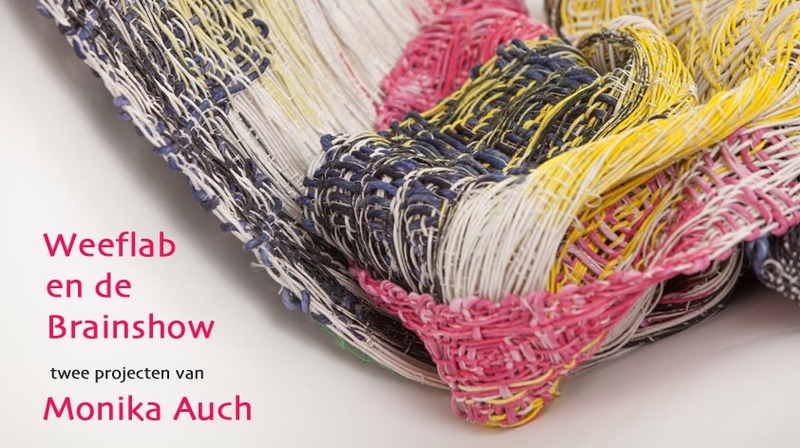 Invited by Akademie für Gestaltung der Handwerkskammer Münster and selected by Meesterlijk, Weeflab presented samples for tapisserie and scarves, while visitors could experience weaving hands-on. 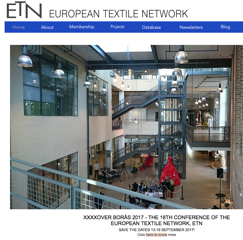 Grethe Sørensen from Denmark received the Nordic Award in Textiles at the ETN conference and Textile Art Festival CROSS-OVER in Boras, Sweden. Article will be published in Dutch TxP 242 magazine. 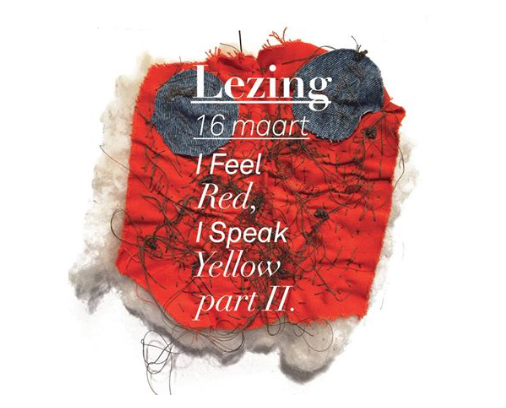 Het TextielMuseum in Tilburg viert met de tentoonstelling van het werk van Sheila Hicks de revival van textiele kunst. 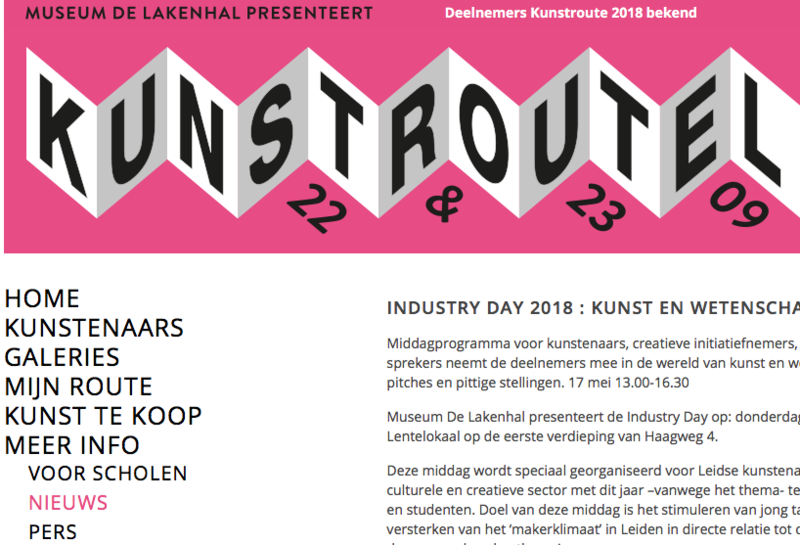 Textiele kunst heeft een plek veroverd op de internationale kunstmarkt en in musea. Menselijk of dierlijk haar als esthetisch (kunst)object kan gevoelens van walging of juist tederheid oproepen. Weeflab is the brainchild of Monika Auch! to create and make work! 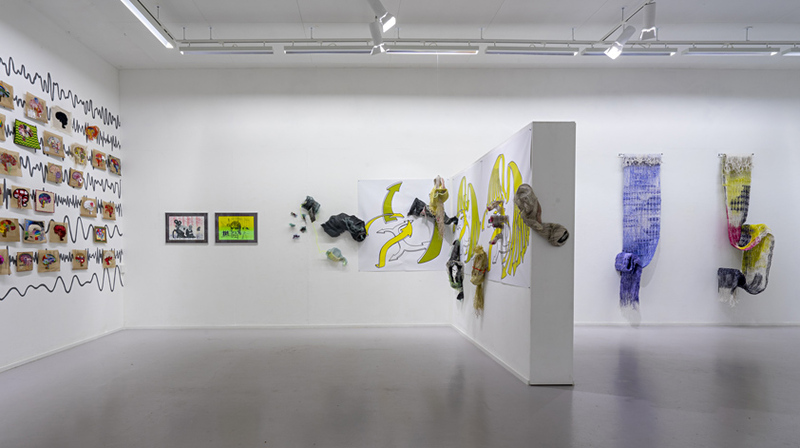 Weeflab is situated in Amsterdam Noord and sets up a program in cooperation with local spaces.